Earth, Wind & Fire is an American funk band, formed in Chicago, Illinois in 1969. Led by Maurice White, they are best known for their hits of the 1970s, among them "After the Love Has Gone", "September," "Reasons," "Fantasy" and "Shining Star." 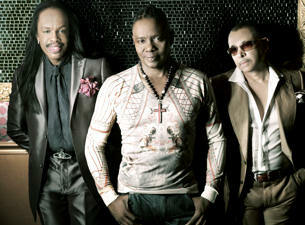 Earth, Wind & Fire became the first black performers to headline throughout the world without an opening act, to receive Madison Square Garden’s Gold Ticket Award for selling more than 100,000 tickets and to receive the Columbia Records Crystal Globe Award for selling more than five million albums in foreign markets. Read more about Earth, Wind & Fire on Last.fm. Here are some industry leading presale databases we recommend you use if you're in need of a Earth, Wind & Fire presale password to buy early tickets to see Earth, Wind & Fire performing live. Getting your tickets early is a great way to get great seating and secure your tickets before they sell out during the public onsale.